Solution: Amino acids are biological compounds that link together to form proteins, the workhorse molecules in living organisms. The skeletal structures of cysteine is shown below. Complete the Lewis structure of cysteine. 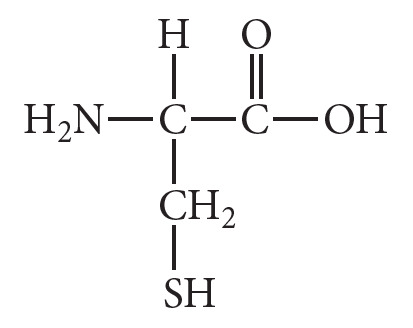 Amino acids are biological compounds that link together to form proteins, the workhorse molecules in living organisms. The skeletal structures of cysteine is shown below. Complete the Lewis structure of cysteine.